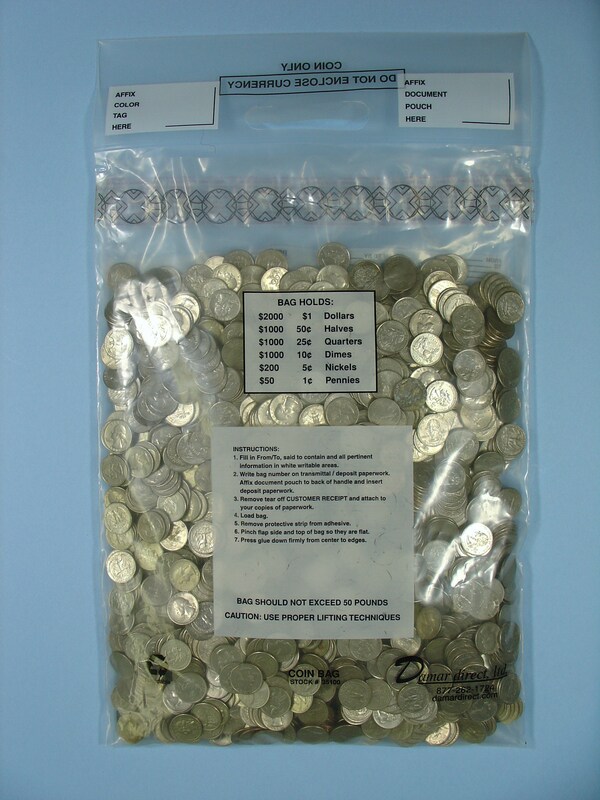 Item 35100, Single Handle Clear Plastic Coin Bag, Meets All Federal Reserve Specifications, 12.75" wide x 21.75" length. Write On Area For Contents & Shipping Information, Capacity 50 lbs. 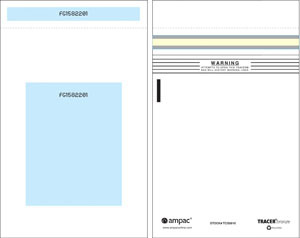 Item DHC13.25, TWO Handle Clear Plastic Coin Bag, Meets All Federal Reserve Specifications, 12.75" wide x 21.75" length, Tamper Evident Security Seal, Sequentially Numbered and Barcode With Two Matching Number Tear Off Receipts, Strong Low Slip Film For Safe & Easy Stacking, Write On Area For Contents & Shipping Information, Capacity 50 lbs.